As I left work at 5pm last Friday night I had a wonderful light show on the way home. It was the perfect way to end a crazy hectic week. 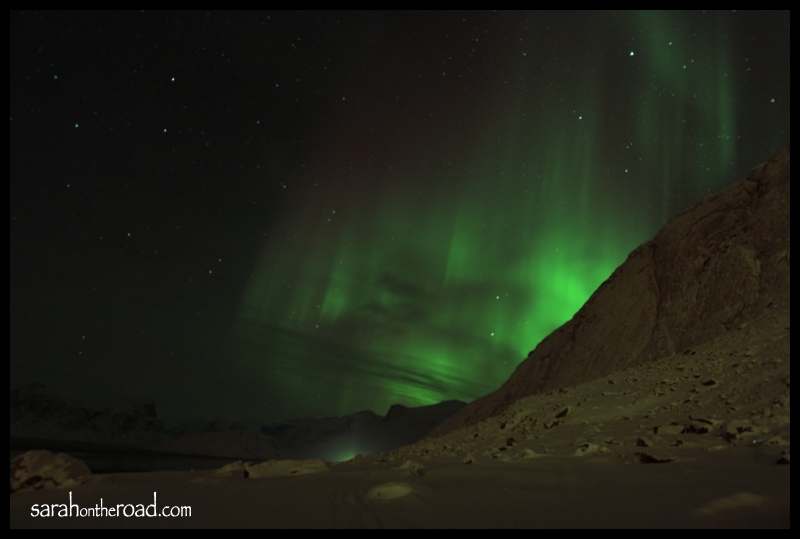 It was great to see the lights dance over Mt. 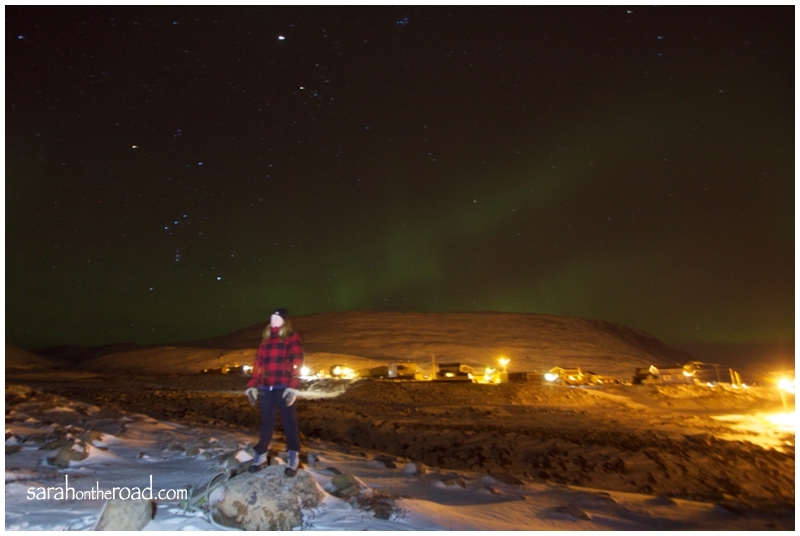 Duval and over my head and the rest of Pangnirtung. As I walked to the community hall for a loonie-toonie, I quickly set up my tripod behind my house…and took these ‘quick’ snaps of the lights. At this point they had actually started to fade! 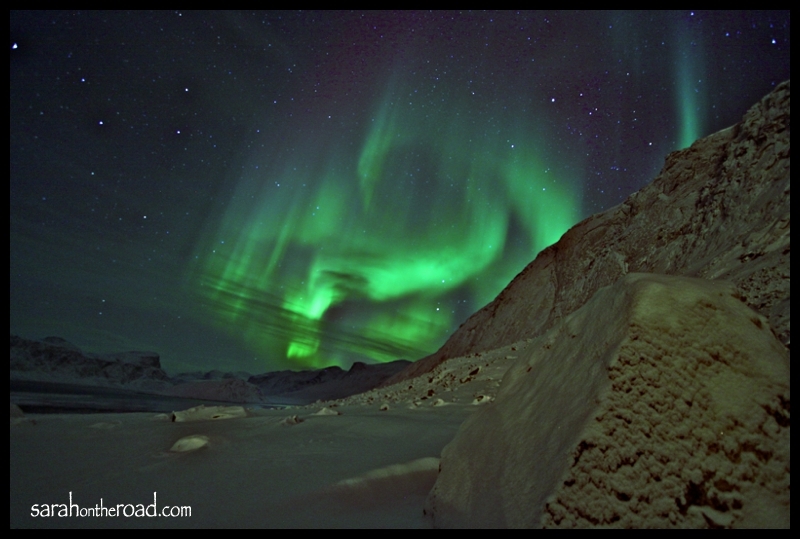 …In the last month I’ve been so lucky to be able to see the lights dance so much. This is one of the things I love about the dark season-the lights come out to dance more! *well almost wordless, just had to share a few words! 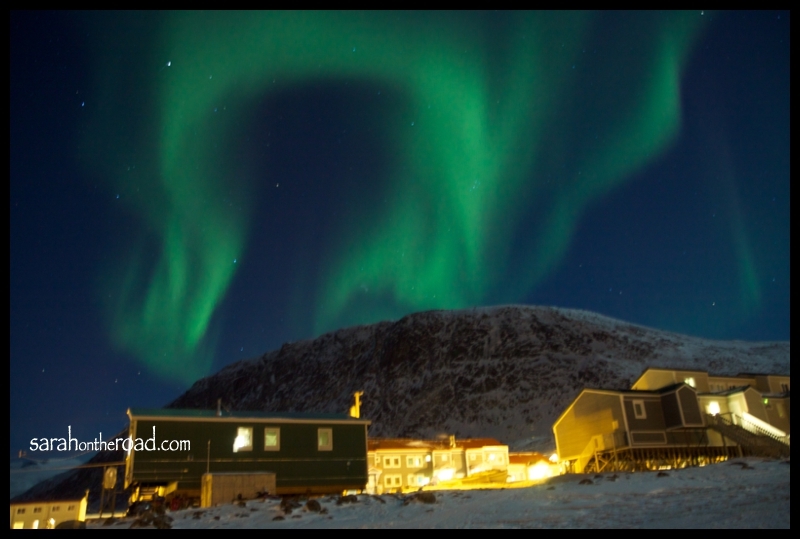 This entry was posted in Photography, Wordless Wednesday and tagged night photography, Pangnirtung on November 28, 2012 by Sarah on the Road. It’s really not that cold yet…in comparison how cold it can get up here. (Currently it’s -19C (with no wind chill). Earlier today it was -22C with the windchill.) It’s just my body hasn’t adjusted yet to this level of coldness. I have really great winter gear that keeps me warm, it just is getting back into the habit of putting it all on…and I really need to cave soon and start wearing long johns again. On Friday night walking home from work I had this revelation…. The only part of my body that consistently gets cold when I’m walking. That’s my legs from about mid-thigh to my knee caps, long johns would totally stop that. I just don’t like the feeling of many layers…so that’s my current predicament. Wear the long johns-hate the feeling of the extra layer along my skin OR don’t wear them and freeze my legs. Don’t worry I’ll dig out my long johns later tonight. This past weekend I went for a quick walk just after the sun set to take some photos for a new header I had in mind for awhile. It was really fun to do this shoot…have to love how a timer and tripod pretty much was able to get me the look that I wanted! There were tons of funny outtakes too. But all in all I’m so happy with the final shot. This is my 3rd fall/winter up north. It’s funny, one would think that I’d be accustomed to the shorter days…and the darkness that seems to come at about 2:30pm right now. But I don’t think I’ll ever get 100% use to it. Yes, I understand what is happening…I help my body out by taking my vitamin D and sitting in front of my ‘happy’ light to get some rays. But no matter how much you know it’s coming…it’s depressing and messes with your mind. It’s one of those things you can’t really explain, until you have experienced it. We are at the point that the sun doesn’t really rise above the mountains around town…it won’t come back to Pang until mid-February. I so prefer the 24hr sunlight in the summer…but you can’t have one season without the other right? So what does a girl do to cheer herself up? Invite friends over for TV marathons… some of the shows we are watching are: Grey’s, Walking Dead, Once Upon a Time… and a few others. There are so many laughs and chocolate…I think that’s a prerequisite for gatherings! In 7months time I’ll be in the Yukon in the midst of an EPIC road trip. 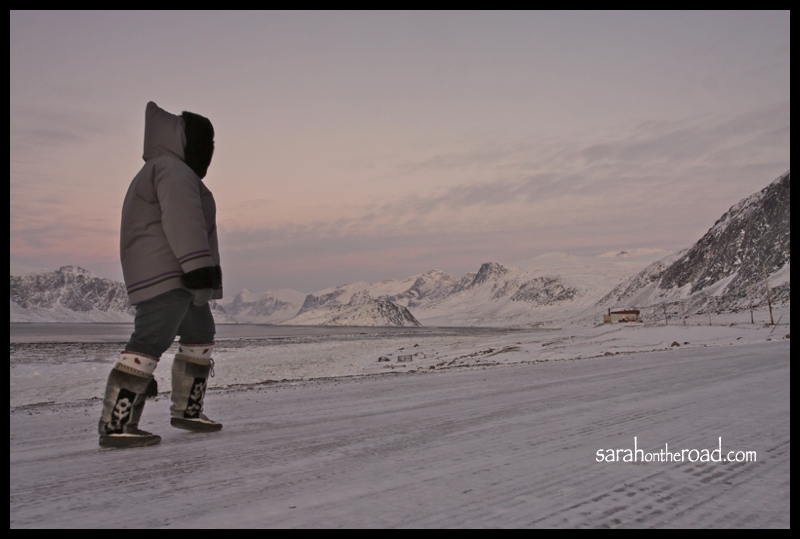 There’s a group of women bloggers I’ve ‘known’ since 2009 when I started blogging…all have lived in NWT/Nunavut at some point in time. In June 2013 we will meet and go on a crazy road trip. 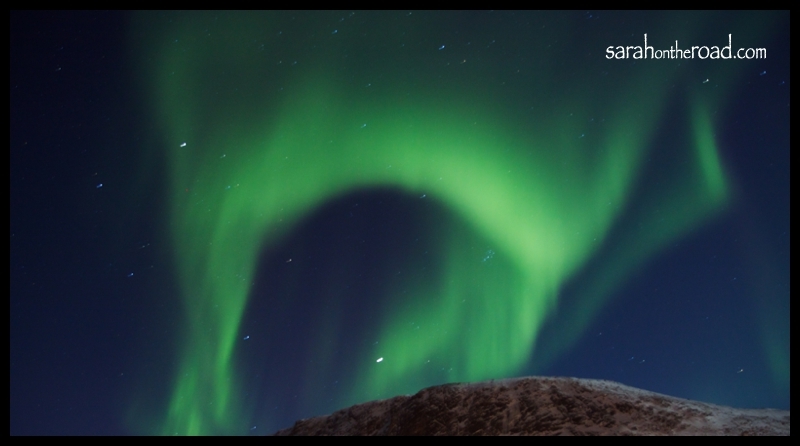 (We have been tentatively been planning this for about 8months…flights for people that live outside of the Yukon have been booked!) Out of the group I have met 1 of these amazing women in person…and can’t wait to meet the other 4! 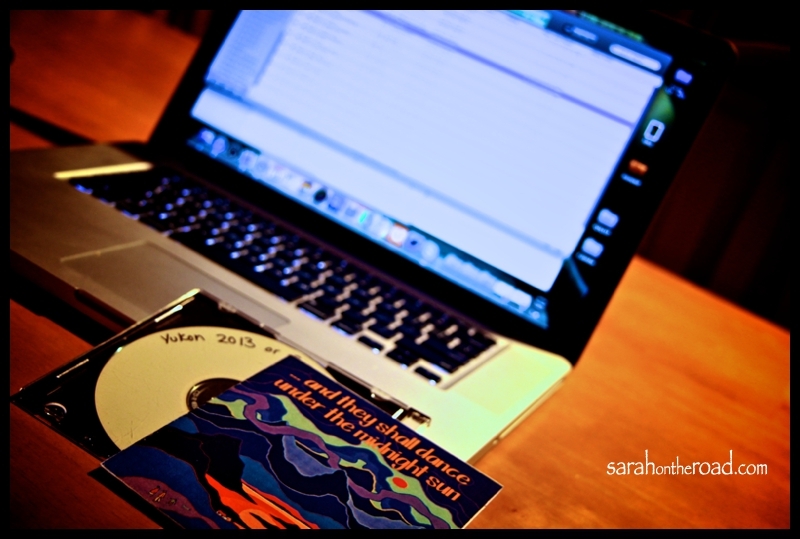 I offered to put together a CD for everyone…but my music tastes might be a bit different and my music choices might not be the same as the rest of the group. The songs I suggested all fell into the ‘top 40’ hits kind of category…and that’s not a popular choice by everyoen else in our group. So I will save my playlist for next June! Tonight I got home, and was feeling blah/icky/and a wee bit ‘witchy’…so I turned on my iTunes and put on my “Yukon” playlist. After putting dinner in the oven and doing the dishes… I found myself singing and dancing along to the music. Music does help a person’s mood! What helps pull you out of a case of the blahs? What is one of your favourite songs that helps? 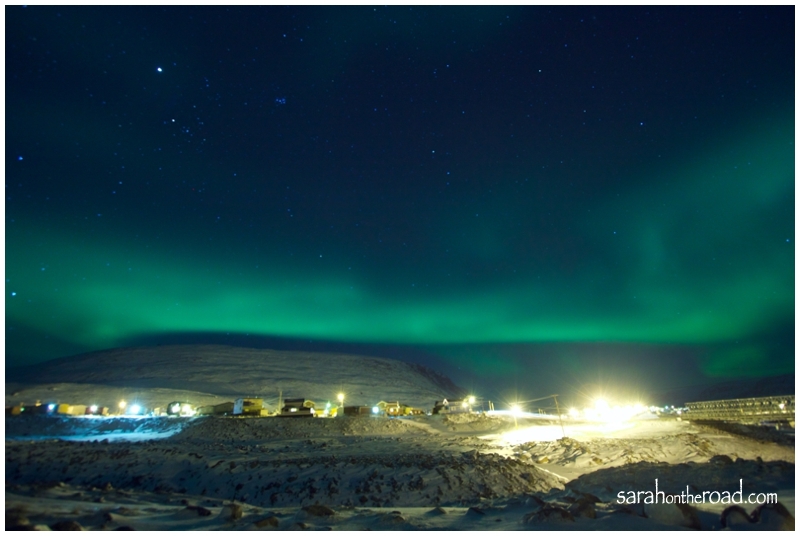 This entry was posted in Life in Nunavut, Weather Woes and tagged Pangnirtung on November 20, 2012 by Sarah on the Road. Tonight I had a group of friends over to watch the last 2 episodes of Grey’s and last episode of Walking Dead. OMG- I am such a fan of Walking Dead! (In the last 6weeks I’ve watched Season1, 2 and the episodes of season 3 so far…) I can’t wait until Sunday to find out who was RICK talking to on that phone? Hmmmm now where was I? Oh yes, we finished watching…and I was saying goodbye to my friends…and saw some lights over Duval. I told myself that I wasn’t going out, I was tired it was late (almost midnight). But then about 15mins later I got a call from Amy and Kaitlin (my 2 friends that just left my house)…they said I NEEDED to get my tripod and head out NOW. So I dragged out my long johns…and that is what I did! The lights were sure dancing over Pang tonight! I stood in my backyard between my house and the river and no matter which direction I looked in the sky…the lights were dancing. It was an amazing night. 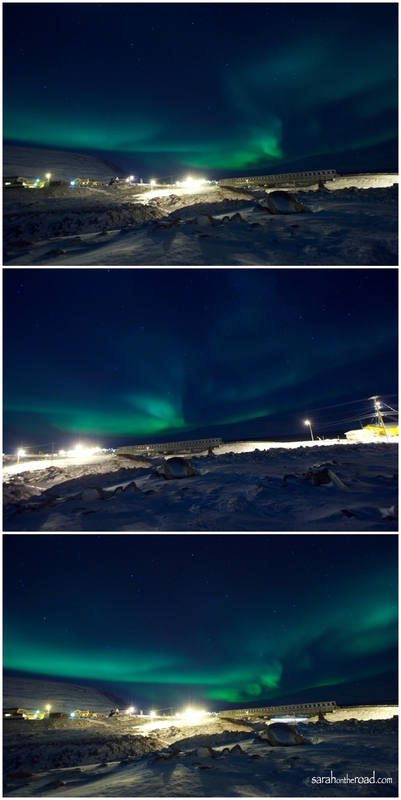 Here’s three shots of the lights over the bridge taken one after each other. I hope you can get a sense of the movement. I wanted to try to capture some people in my shots. This is something I have done in the past, but haven’t done in awhile. I think this is something that I’m going to have to practice a bit more. My friends who I shoot with and do this all the time, make it look so simple. But I gave it a try…and here are some shots of Kaitlin and Amy standing under the lights. It’s tricky for many reasons: Tonight these are the two things I was worried about. 1. Making sure the lighting of the person 100% right, not enough light-then they don’t show up; too much light…then their face is blown out over exposed. (This is done from a flashlight from behind the camera). 2Making sure your models stand REALLY STILL. It’s a long exposure, so if they move then they are blurry. Tonight I forgot to tell Kaitlin and Amy to hold their breath…so their shots are already a bit blurry to begin with. ..the lights had decided to go into stealth mode…but we didn’t really notice that they had moved from behind us to behind the camera! We were just having so much fun…! 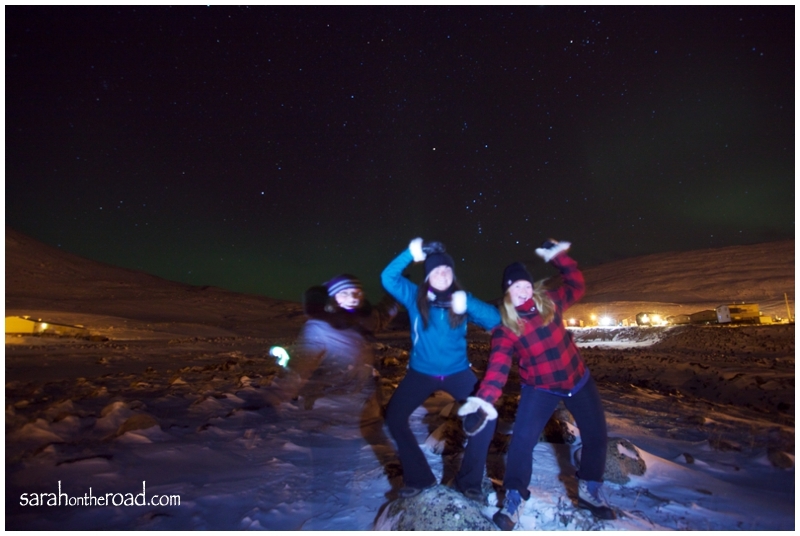 …then ‘ghost’ Sarah decided to join in on the fun…. and then Amy and Kaitlin thought that they heard ‘walkers’ so they started running away from them! Don’t worry…no real zombies were spotted while shooting these photos! Thanks so much Kaitlin and Amy for calling me I had a blast..and that was the perfect end to my night! 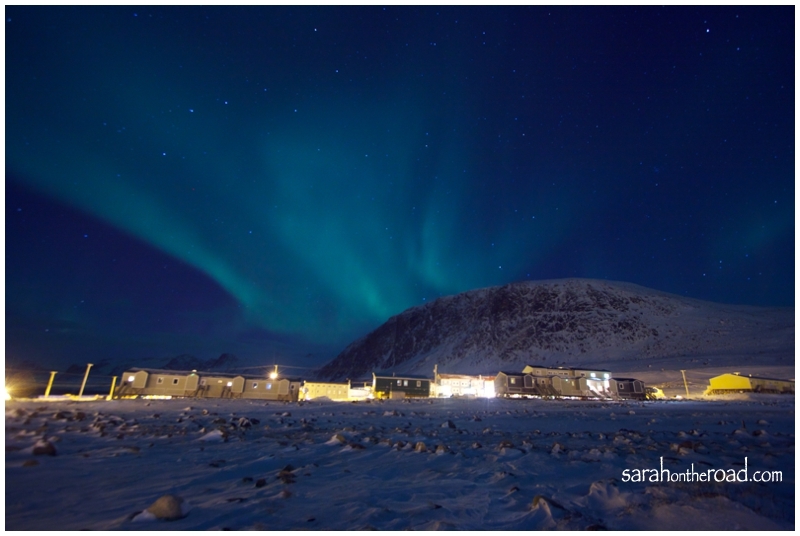 This entry was posted in Life in Nunavut, Photography and tagged Pangnirtung on November 17, 2012 by Sarah on the Road. I got the box…looked at the return address and came up with a blank. (Didn’t recognize the last name that was on the top of the box (there wasn’t any first name..) All I saw was Colorado..and was like, do I know anyone by that name in Colorado? When I got back into the truck I flipped the box up and looked more closely at the customs info…then all the pieces began to click together. It was from Keenan at My Colorado Life. This year his goal was to do a different HIKE every week… he’s almost done with only 7 hikes left! How awesome is that. You should go check out his stories and photo-journeys of his hikes. I got back to work, and then had to sit and look at the box…because didn’t want to open it until I got home. Thanks so much for your box of CHOCOLATES!! 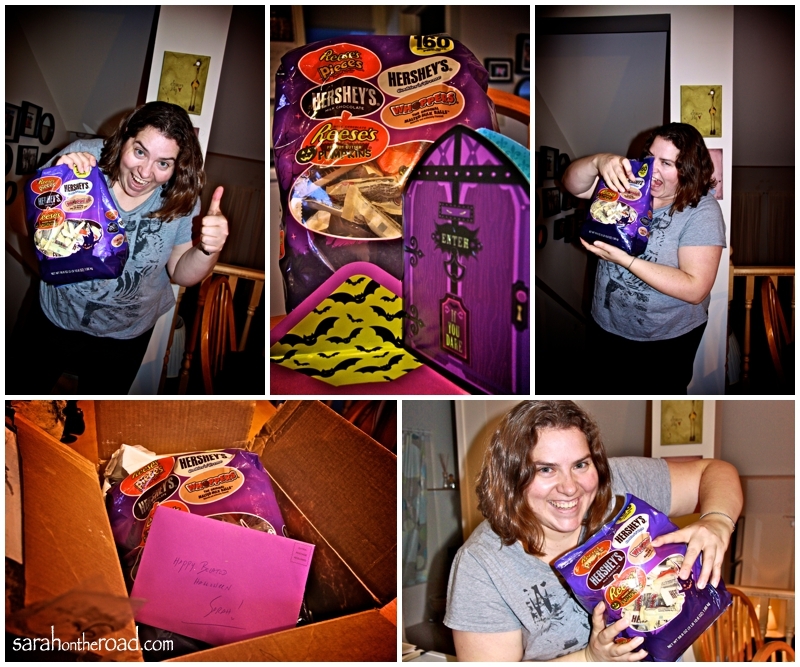 I must say Hersey from the states makes their halloween treats bigger than Hersey made in Canada! 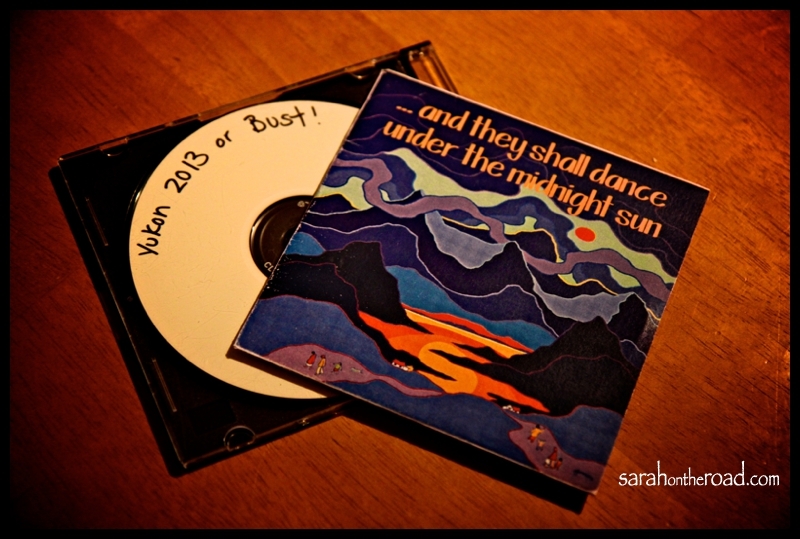 The card made me laugh…it was the best spooky halloween music EVER. As you can see this package made me UBER happy. I was glad to have some chocolate to keep me company during the snowy afternoon since work was cancelled. It’s fun to get things in the mail that you don’t expect. Thanks so much Keenan. I can’t wait to hear about your next hiking adventure. 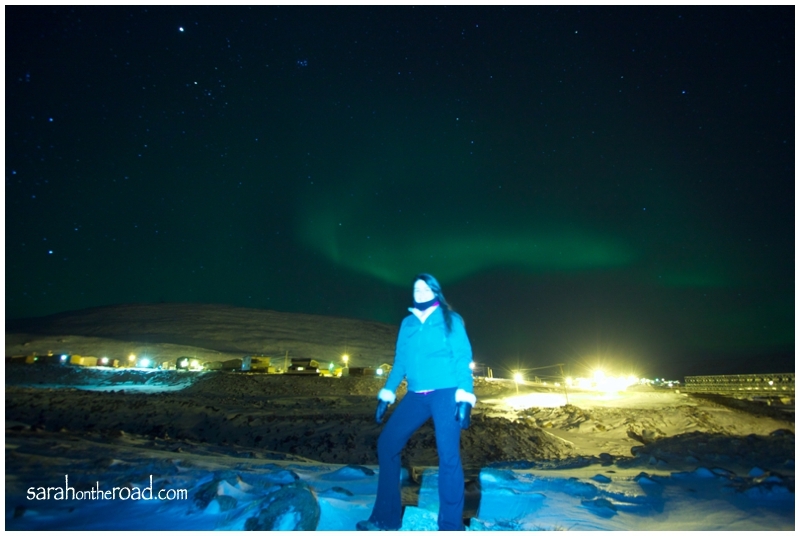 This entry was posted in Blogging Community, Life in Nunavut on November 15, 2012 by Sarah on the Road. Last night as I was walking home from dinner with friends I noticed that the lights were starting to dance over Duval. I started to walk faster to to get home, the whole time my mind was going so fast as I tried to remember where I had left my tripod, headlamp and trying to remember if my extra camera batteries were charged! I got home, found everything I needed and changed into some warmer layers…first time this season I broke out the long johns! I called my friend Mike and asked him if he wanted to go shoot. He agreed so he came by my house to pick me up and then took off on his skidoo. 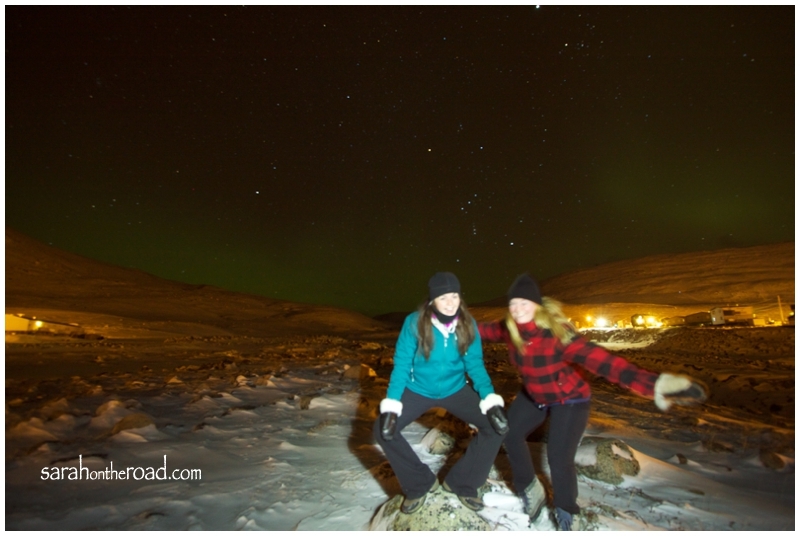 We headed off to get out of sight from town’s lights to be able to see the northern lights better. 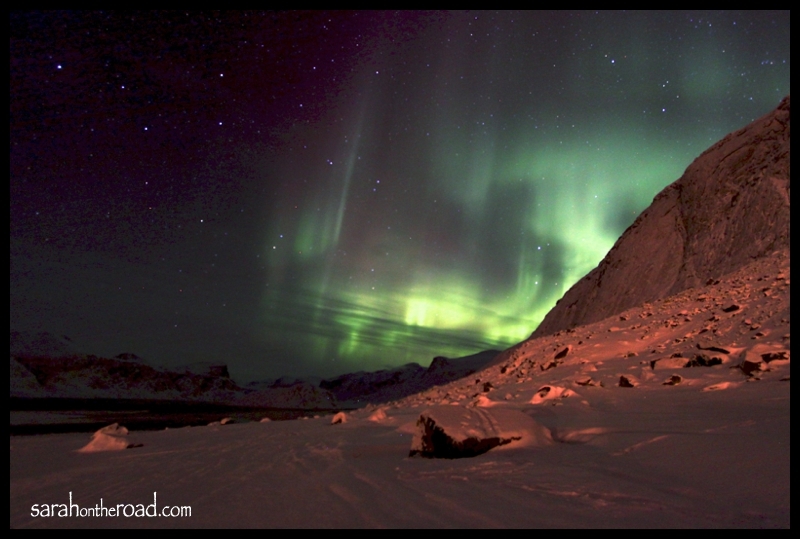 It is a truly a magical moment to be able to experience the lights dance over your head on a cold winter’s night. It’s a sight I won’t ever get tired of. Thanks Mike for heading out with me it was a fun night! 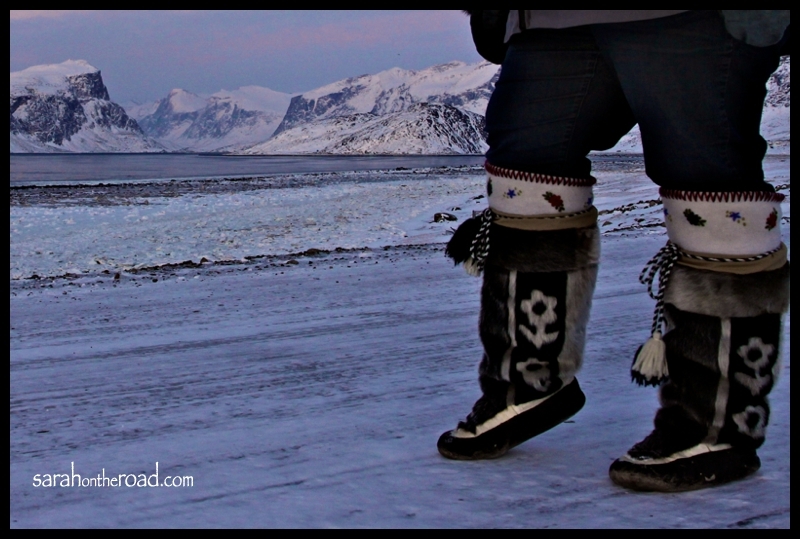 This entry was posted in Life in Nunavut, Photography and tagged Pangnirtung on November 13, 2012 by Sarah on the Road.